Back in February, Nintendo announced that it would disconnect the Wii and the DS’ internet service for games on May 20th, 2014 https://www.nintendo.com/whatsnew/detail/vyWpoM6CBIe6FjW8NIY7bvzOrgBURhzw. When I heard this, I was both sad and not surprised. I expected this to happen as Nintendo is not seeing any use for games that are no longer popular. Ridding themselves of these internet services will cost them less money. Even so, many of these games are now affected by their lack of internet connection. Sure, games like Pokemon and Super Smash Brothers Brawl will not be totally impacted by this, but other games like the Professor Layton series would be. In the Professor Layton games, you could download many puzzles which were otherwise not accessible in the games. However, with the discontinuing of their internet connection, gamers, who might have picked up the games used, will not be able to enjoy these puzzles as we do now. It’s here that we see the weakness of modern consoles and that is the internet. The strong reliance of the internet makes modern day consoles handicapped to certain situations. If you are in a place that has no internet connection then you can’t play online nor could you download patches or expansion packs. As such, the enjoyment of certain games goes down considerably. You can also get some games like SimCity 4 whose total dependency on the internet ended in complete disaster. Eventually, most of these consoles will become obsolete as their games will eventually lose their internet service making them obsolete. But I don’t see this happening for older, traditional consoles. The beauty in them is that you can transport them wherever you go, connect them to the TV, and play some fun games without worrying about internet connection. My N64 and Sega Genesis works just as well now as it did years ago. These traditional consoles do not have to stress about being outdated as you can still get your full enjoyment from them (provided you have a TV you can connect them too). As such, I believe the Nintendo Gamecube is the last of the traditional gaming consoles most of us grew up with. Nowadays, modern consoles focus strongly on versatility by including features such as playing or streaming movies, social networking, surfing the web and so forth. Video gaming itself almost takes a backseat to these consoles. 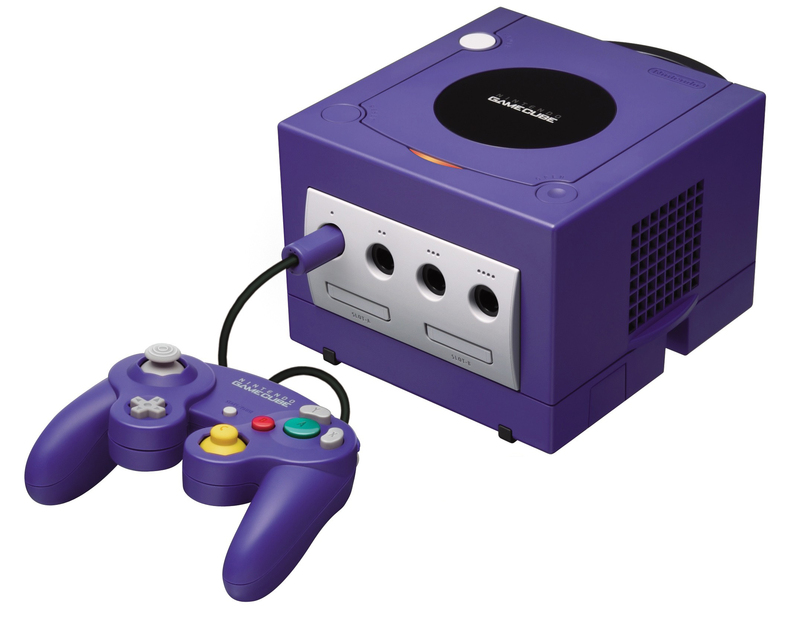 The Nintendo Gamecube, however, strived to be an actual gaming console. With its contemporaries already playing music with CDs or movies with DVDs, the Gamecube stuck to its guns with fun-to-play video games. Also, the Gamecube didn’t have to worry much about internet services being terminated. Yes, there were some Gamecube games that had internet capabilities (such as Phantasy Star Online) but that was it. Some of these games, like Mario Kart: Double Dash, can still be played online using a LAN server. Besides these exceptions, you did not need the internet in order to fully enjoy Gamecube games (besides, you had to buy the Gamecube Broadband Adapter which was sold separately from the console, again, supporting the fact that the Gamecube was not originally intended to be used for internet purposes). Even with one foot lingering in the past, the Gamecube was still a product of its time. Some of its characteristics we still see in modern consoles today. There was the use of discs instead of cartridges which prompted the use of memory cards as well. As said before there was (some) internet connectivity. The Wavebird Controller was wireless and freed the gamer from the restriction of cords. This was also the era of videogames when old games were being redone in higher graphics (e.g., Metal Gear Solid: the Twin Snakes, Resident Evil 1 and 2, and etc.). All of this indicates that the Nintendo Gamecube represents a bridge between the then and the now. Regardless, a focus on games and a freedom from the internet means that the Gamecube is the last of the true, gaming consoles. Which means I can take my funky lunchbox console wherever I go and have a blast with it. Arceus bless you Gamecube, you silly, dorky, fun-as-hell console. This entry was posted in Video Games and tagged Console, Gamecube, gaming, Internet, Nintendo, video games on April 21, 2014 by Andy.